I am not sure who to give credit to for the picture. From the Wizard of Oz. I hope at some point in time you have seen the Wizard of Oz. If not, please add it to your list of movies to see. My focus is on the cowardly lion. We know is nature, the lion represents the king of beasts. He is supposed to be the big man on campus. He gets the big piece of chicken. He gets the honor at the head of the table because of his courage and willingness to sacrifice his life for his pride. 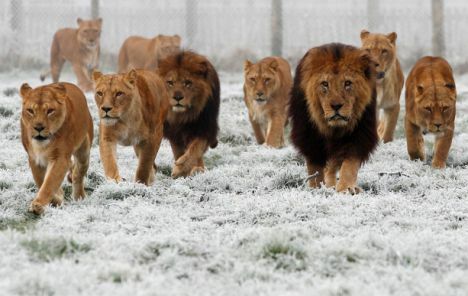 At any point during the day, he could run into another lion who wants to challenge him and take over his pride. His job is take on the challenge and win. The lion has a sense of duty, honor and country (pride) that seems to be missing today in some. I have a friend who graduated from West Point many moons ago. I had the privilege of attending the ceremony. I remember seeing the words Duty, Honor, Country and they were forever engrained in my memory. At West Point they are holding to a tradition that used to be common in our households. 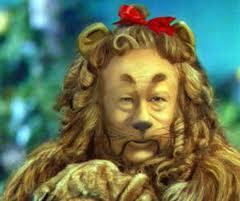 Back to the Wizard of Oz, the cowardly lion was going to see the wizard because he lacked courage. He doesn’t stand up when he’s afraid, he cowers and hides. We all have time in our lives when we want to run and hide. But, I am saying to you don’t give in to the fear, especially when it comes to your country (pride or family and your really good friends). Face the situation head on, dig deep within you and give out the biggest roar you can muster. If that doesn’t work, let the battle ensue. But, it’s better to stand for and represent duty, honor and country than to cower and run. The battle doesn’t have to be a physical battle. It may be a mental, verbal or prayerful battle. The battle is not always against someONE it could be someTHING. (Spoiler alert! )As they discovered at the end of the journey to Oz, it was always there. He always had courage, he just didn’t recognize it in himself. Recognize the courage in yourself. Be ready to take a stand when it’s required. Other wise, enjoy the big piece of chicken you earned because you are proven and willing. This entry was posted in boyfriend, Christianity, Dating, Family, Friendship, Life Lessons, love, Marriage, self help, Uncategorized and tagged country, duty, friendship, honor, lions, love, marriage, relationships, respect, self help, valor, wizard of oz.